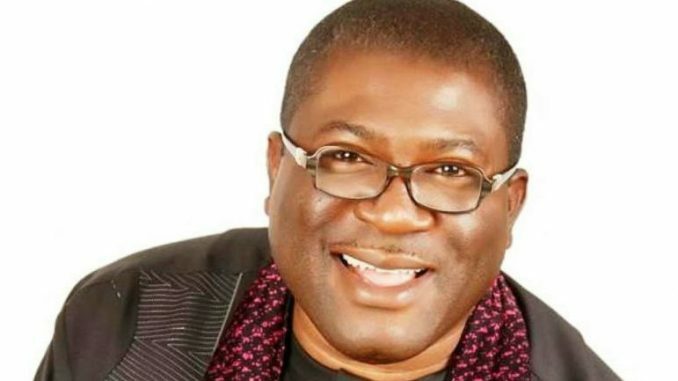 Imo State Deputy Governor, Prince Eze Madumere, has given a graphic account of how he and other top notchers of All Progressives Congress, APC, were attacked by hired thugs within the premises of the party secretariat in Owerri, last Saturday. Madumere, who narrated his ordeal through his Chief Press Secretary, CPS, Mr. Uche Onwuchekwa, also gave the names of other victims of the attack as Sir Jude Ejiogu, Senator Benjamin Uwajumogu, General Gbujie, Chief Felix Idiga, Ichie Best Mbanaso and a member of the APC Board of Trustees, Mr. Jasper Azuatalam. 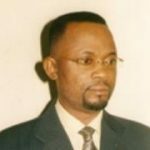 Other victims of the attack, according to the CPS, were the Deputy National Woman Leader, Mrs. Tina Adike, Chief Tony Chukwu, Dr. Goddy Esom Obodo and others. “The Deputy Governor of Imo State, Prince Eze Madumere and others, earlier today (Saturday), escaped death as armed thugs, numbering over 200, unleashed mayhem at the party Secretariat, but for the quick intervention of gallant armed mobile police officers and other security agents”, the CPS recounted. While confirming that the incident took place at the APC Secretariat, along Okigwe Road, Owerri, at about 12 noon, Onwuchekwa also reported that “the attack was not only directed at the Deputy Governor but circumstantially at many others. He recalled that no sooner had the APC big wigs led by the Deputy Governor arrived the party Secretariat than two loyalists of Governor Rochas Okorocha (names withheld) stormed the premises with thugs. “They were chanting war songs, disrupting all activities, hauling pebbles at the party stalwarts as they also destroyed canopies, chairs and other valuables worth millions of Naira. The timely intervention of the mobile police force, Nigerian Security and Civil Defence Corps, the men of State Security service among others, who joined hands with the security details of the chieftains that saved the situation, as they found it difficult dispersing the dare devil paid miscreants suspected to be Ohaji-Egbema boys, who were recently granted amnesty by Governor Okorocha”, the CPS said. Onwuchekwa has equally raised alarm that his principal’s life is threatened, if the result of the APC ward congress run contrary to the wishes of the Governor and his acolytes. 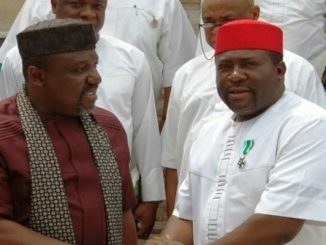 “Some people had threatened that should the congress fall short of favouring their master, Governor Okorocha, they will stop at nothing in dealing ruthlessly with the Deputy Governor, among other party stalwarts, who are not in support of the ambition of Governor’s son-in-law to succeed the Governor come, 2019”, Onwuchekwa said.